Everyone should finish their piece for the Lit Mag. Click here for some Canterbury Tales Clip Art. If you have it done, please show it to me and then copy it into the magazine. 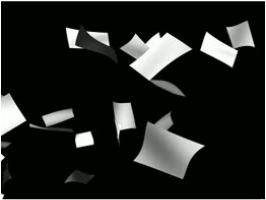 Web pages are primarily made up of text, audio, images, and video. You can think of the World Wide Web as being lots of web pages that are linked together by hyperlinks. When you create a new page on your website, you are adding a point on the image to the right <demonstrate how to add pages to a Weebly site>. According to About Tech: HTML or HyperText Markup Language is the language of the web. All web pages are written in HTML. HTML defines the way that images, multimedia, and text are displayed in web browsers. It includes elements to connect your documents (hypertext) and make your web documents interactive (such as with forms). Let's take a look at what a real website looks like. You'll see it's made up of html code. That's how people used to have to build websites. Now with tools like Weebly, you don't need to know html code. You can drag and drop elements and the coding is done for you. The web browser gets the html code and it builds the webpage for you. Sometimes if you use a different browser, the same website will look different or even have different functionality. Now I'll show you how to change the Domain Name to your website and why we use a sub-domain name from Weebly. I want everyone to update their domain name for their website before the end of class. Thanks! You should be wrapping up your "Separating a Dry Mixture" presentation. When you are done, make sure you share it out with Mrs. Chaleki. How can you separate a dry mixture? If you want to learn how to use Powtoon, you can click on Tutorials on how to use Powtoon to learn more. While in the app, you can also get help by clicking on the ? Today, you will continue to practice using Powtoon. I want you to continue to work on a presentation telling us something interesting about yourself or something interesting that you know. I want you to become familiar with the tool, so use as many features as you can. To log in, click on the image to the right. If you want to learn how to use Powtoon, you can click on Tutorials on how to use Powtoon to learn more. 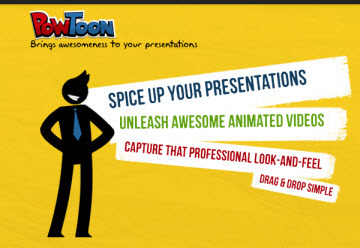 Today we are going to explore a new presentation tool called Powtoon. It's a fun way to create animated videos and presentations. I want you to create a presentation telling us something interesting about yourself or something interesting that you know. I want you to become familiar with the tool, so use as many features as you can. To get started, click on the image to the right and create your account. Here is a link to Tutorials on how to use Powtoon. When you're done with your Greek Times Book Review, you can edit your photo using Paint.net. The photos you need should be posted in a folder on the share drive (ask Mrs. Wagner if you can't find them). Please save your final photo in your personal folder on the server. Here's a video tutorial on how to create your photo. If you have posted your chroma key photo to your personal website, you can start on your travel into history project. You will be creating a photo to go along with your story you have been writing in language arts class about an ancient Roman or Greek topic Click on the images below to see examples from previous years..
First find the background photo and save it to your personal folder. Remember to make it as high resolution as possible. Also don't forget to keep track of the copyright information on the photo. Please use one of the sites on the following page to help find a good copyright friendly photo. Wikimedia Commons and Compfight provide citations for you. You can either use your existing Chroma Key photo or you can take a new one.